For sale by owner is a GMC Sierra HD with only 310,000 km. This durable pick up truck is still in great condition and still has lots of life left. 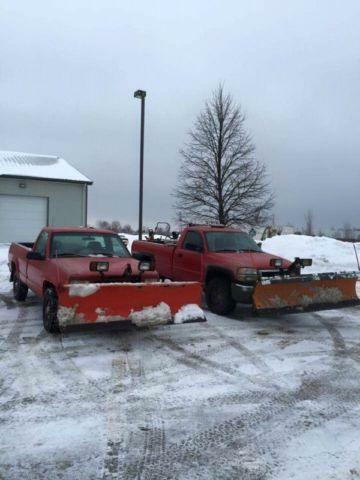 It comes stocked with a Snow plow and is ready to go to start making money. This vehicle comes with a new paint job, new brakes, new panels before the paint job, as well as new cab corners, rockers, and a new exhaust. The transmission has been rebuilt. This truck runs smoothly and always starts with no problems.